VALVEMATIC TR MM CLEAN 5DR AUTO! ~ RECENTLY SERVICED ~ MOT TILL MARCH 2020 ~ CLEAN EXAMPLE! Comes with full logbook, service history, Long Mot and Spare key. We can also include a long fully comprehensive parts and labour warranty for your peace of mind! We work on small profit margins so aim to give you the best possible deals! Hpi clear, Px welcome, Prime & Subprime Finance options available, Additional £70 administration charge applicable to all cars., Please note we work by appointments only (flexible hours), All major debit/credit cards accepted. 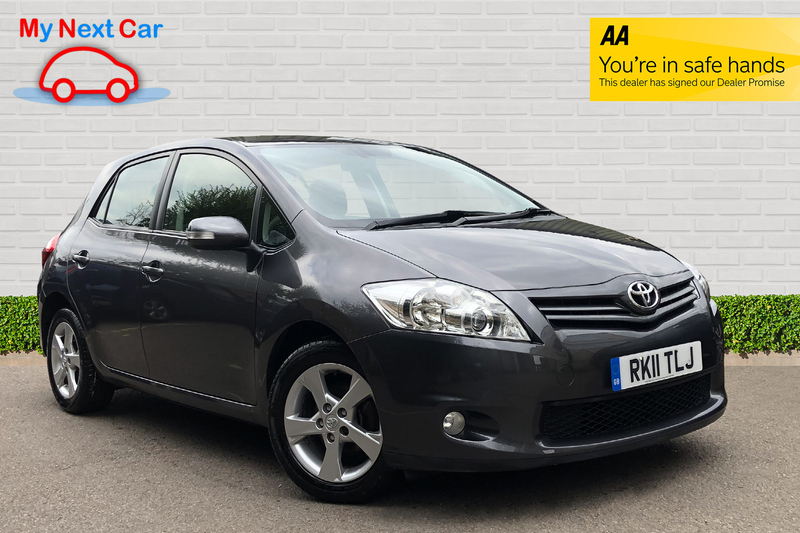 I would like to make an enquiry about your 2011 Toyota Auris VALVEMATIC TR MM CLEAN 5DR AUTO!